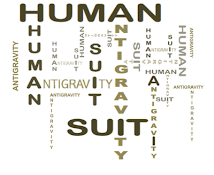 HumanAntiGravitySuit: Can manual therapy be made antifragile? Can manual therapy be made antifragile? While I'm sure there are some who would like to see manual therapy destroyed and outlawed altogether, there are some, like me, who only want to see it cleaned up, objectionable explanatory models (noceboic to patients, intellectually offensive to therapists who have decluttered ourselves) removed, and practices which could maim people (high velocity or even just heavy neck manipulation, I'm looking at you..) outlawed. I want to keep manual therapy, itself, alive. I want it to be antifragile. Well, in fact.. I think it already is solid. It's solid when defined properly. Here is the little list of antifragility principles I'd like to see manual therapy associated with. Many of them are the opposite of what the professions/culture/insurance companies demand. Don't try to be doctors of it - just go about helping people with their stress&pain, with physical contact, and kinesthetic reassurance. It is only what it is, nothing more. Nothing fancy. You can't lose anything by trying it, a few times at least. Serendipitous ways of handling a problem will come to you in the moment, if you let it. Together you and the patient and both your nervous systems are 4 artists, physically making a work of art, in the moment. Let creativity come and play if it wants. I'm not somebody who thinks in terms of "soul".. I do think in terms of critter brain, however. I'm pretty sure the two are indistinguishable. One is a human conceptualization of a set of qualities and behaviour and the other is a giant chunk of nervous system we share with all other vertebrates and without which we would be dead. So I would say, keep your own critter brain in the game. You have got to know your own, interact with it lots yourself before you can trust it to play nice with somebody else's. Make sure they are risks devoid of future harmful consequences, that's all. Usually smaller = slower and/or lighter. We are connecting with nervous systems in other people. The surface of the body is so lively with info processing and conveying that you can pretty much get any message across to another nervous system without having to push hard, or fast, or perpendicularly. E.g., high velocity maiming, poking patients full of needles and collapsing a lung. Especially data on manual therapy, which just about always turns out to have effects that are nonspecific, at best, or else just random. As in, for example, the option to avoid certain bits that seem way too sensitive. Load in skin contact elsewhere instead. For example, a very sore or swollen ankle - you don't have to touch or "treat" the actual tender malleolus right off the bat. Twist the skin around the heel or do a balloon technique or something, stretch the skin somehow, by pulling skin toward the opposite malleolus instead. You'll get the human brain's attention without aggravating the critter brain. Absolutely. And the older you get the less you'll find yourself doing, and the better will be your results in the moment. As far as I'm concerned, what has been around longest is that tendency vertebrate creatures have to conduct conspecific and interspecies social grooming, as long as there have been vertebrates. More recently primates took social grooming to a whole other level when they started exchanging it for not only bio (picking off bugs) reasons, but psychosocial ones as well (bringing individuals back into the troop, reducing stress after fights or someone got bossed unfairly, demonstrating caring behaviour). We are human primates and if we remember to do human primate social grooming first, that's all we usually have to do. None of the above is the least bit incongruent with pain science. I think we should be first responders to pain as expressed by another. Most of which is secondary to stress. Much of which is associated with muscle tension also secondary to stress, because spinal cord was the first part of the central nervous system to evolve, is the first responder to nociceptive input, and the spinal cord has never been famous for having much hard drive. In fact the spinal cord hasn't changed a lot since fish invented it 500 million years ago. Come to think of it, that could be why vertebrates invented social grooming in such a cross species fashion. I love this, Diane. Such a succinct way to describe effective and efficient manual nervous system "care-taking." Can't wait to share with students. All the best to you!